Obituary for Carl Ward | Powell Funeral Home, Inc.
Carl Ward, 81, of Dayton, OH, formerly of Salt Lick, KY, passed away Saturday March 16, 2019 at Hospice Of Dayton. 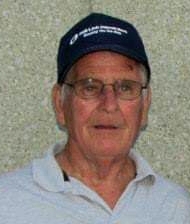 He was born April 2, 1937 at Pomeroyton, KY and was a retired employee of Requarth Lumber Co. after 47 years. Preceding him in death were his parents, Hugh and Lucy Luke Ward, his beloved wife of 38 years, Glenna Sue Ward, 6 brothers and 4 sisters. Survivors include his children, Carl Ray Ward (Kim Robinson-Miller), David Ward (Teresa) and Janet Randall (Robert), 7 grandchildren, Joey, Daniele, Nicole, Travis, Scott, Dalton and Darah, 7 great-grandchildren. Carl met Glenna Sue when he moved to Ohio where they fell in love and raised a family. He was a stubborn but loving man and the best husband and father that anyone could ask for. We are all truly blessed to have been able to call him father and papaw. Carl never remarried after Glenna Sue’s passing in 1999, and now 20 years later, they are finally together again. Funeral services will be conducted Sunday March 24, 2019 at 12:00 PM at Powell Funeral Home, Salt Lick, KY. Interment will follow in Brown Cemetery, Morehead, KY. Visitation will be Saturday March 23, 2019 from 5:00 PM – 8:00 PM and Sunday March 24, 2019 from 11:00 AM until service time at the funeral home. The family will have a gathering following the committal and burial at Comfort Inn & Suites 2650 801 North, Morehead, KY.